Taiwan Hong Kuai Essential Oil has a very high sesquiterpene content and is a prized wood used for centuries for temples and shrines. It is highly rot resistant; and is very resistant to insects and decay due its abundant aromatic nature. In Taiwan, it is also valued as an oil of relaxation and is often placed in baths. It may release minor agitation the mind and body; and promotes confidence and clarity. This section is a fun and easy reference guide for Taiwan Hong Kuai Essential Oil. It will tell you how to use it and what to use it for. It will also provide you with some fun suggestions, safety precautions for you and your pet! As I receive new tips and testimonials for Taiwan Hong Kuai they will be added to the page, so check back frequently! Want to Purchase Taiwan Hong Kuai Essential Oil Essential Oil? Then go to The Oil Shop. 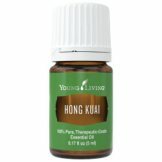 Purchase Taiwan Hong Kuai Essential Oil at the Oil Shop! Many companies may use a substitute species or a combination of species that does not offer therapeutic benefits. Remember, even though they may share some similar properties they are not at all the same. And they are used for different purposes. Where is the Name Derived From? In native culture the name means "The Respected Trees for the Temple Building Society"
Why Know About this Number? What Does this Number Mean? ORAC stands for Oxygen Radical Absorbance Capacity. It tells you the antioxidant capacity of a food item. This was developed by the USDA researchers. For instance: Oranges = 750; Clove = 1,078,700. Wow! The number for clove is NOT a typo! Did you know that the wood has been used for thousands of years to build shrines and spiritual buildings? Yes Key wood used in architecture for because its ability to withstand rot; and is very resistant to insects and decay due its abundant aromatic nature. What are the Documented Hong Kuai Benefits and Uses? Calming and Relaxing. Use in bath or diffuse. Meditation, yoga and spiritual connection. Men's cologne. What is the Aromatic Affect on the Mind? Its woody scent is relaxing and grounding. What is the Spiritual and Emotional Influence? Taiwan Hong Kuai Essential Oil grounds the body and eases spiritual, mental and emotional tension. It opens the third eye and thus opens up awareness, intuition and possibility. Expect to get clarity while maintaining solidity and confidence; and releasing irritation when using this oil. Very good for meditation, yoga or transformational activities including clearing work. By the way, any of the tree oils are very grounding emotionally and physically. What Chakra is Affected? The sacral, heart and crown chakras. Can this Oil be used for Animals? Yes, however at this time I have only used for emotional release. Yes. Have your animals smell it directly from the bottle or place a drop or two in your palm, then smell. Or place a drop in your palm and pet head to toe. What are the Safety Precautions? First, only use therapeutic grade essential oils! Hong Kuai essential oil has no known contraindications. Pregnant women should use this oil with caution. Did you know that Hong Kuai trees live 1,000 to 2,000 years? Wow! Yes they live in the high and steep mountain forests and they are highly valued. Did you know that the Emperors casket and shrine were made of Taiwan Hong Kuai? This oil blends well with Hinoki and/or Cypress. Make your own relaxing blend and use in the bath!